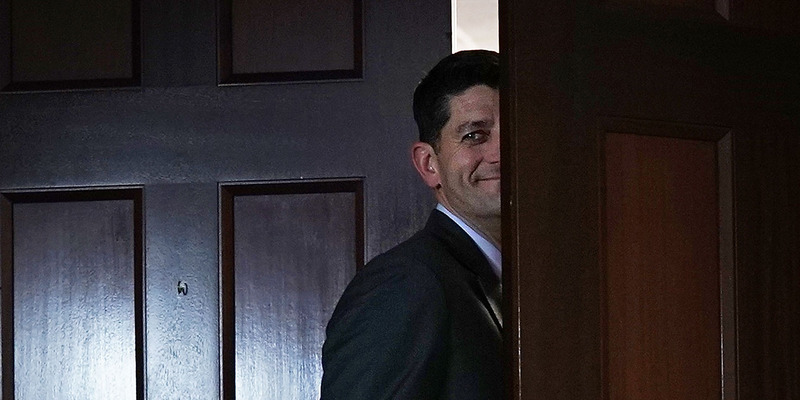 Republicans will have a new race for Speaker of the House with Paul Ryan’s retirement. WASHINGTON – There is a lot of pent-up anger in the House Republican Conference from members who feel frozen out of the legislative process, with which the successor to House Speaker Paul Ryan will have to contend or face the same rebellions and party infighting. Ryan holds a record in the House for crushing debate. Last year’s session of Congress saw more closed rules than any in history, and so far 2018 has been no different. Republicans, whether they are moderates, ultra-conservatives, or whatever, are not allowed to offer anything they want to get a vote. The strictness of the House Rules Committee, which is under Ryan’s control, has infuriated members. GOP Rep. Justin Amash called him “the worst House speaker in the history of Congress” in terms of process. “So you’ve got this frustration of members that they can’t offer amendments, which is a problem for them personally, then you’ve got the committee chairmen that are disempowered, but then the way that you run this, the whole body is disempowered really,” he said. This all factors into the upcoming speaker – or minority leader – race for Republicans when Ryan retires at the end of the year. A candidate for speaker, whether it be current Majority Leader Kevin McCarthy, House Freedom Caucus founder Jim Jordan, or whoever, could curry significant favour with the conference by pledging to give them the chances to actually have a say. One of Jordan’s selling points, Brandon said, is that he would be one of the “least powerful, but most effective speakers” in history, but that means each member would have a voice, where they can make their case about any issue in the form of an amendment. While Jordan’s bid for speaker, which he announced last week, is largely seen as a ploy for some other position to be given in a compromise, Republicans will have to contend with what kind of leader they want – and whether that includes a more open and transparent process.